Elevators are often taken for granted, but they need regular maintenance in order to function properly. A well-maintained elevator can generally last about 25 years, but some parts may need to be replaced periodically. Even if the elevator is well-maintained, it may eventually be necessary to complete an overhaul or to replace the equipment. Modification to an existing system is referred to as a modernization and can be full or partial. If new rails are added to an existing elevator or a new elevator is installed from the ground up, the project is considered new construction. It is always better to be proactive with maintenance than to be reactive and only respond to problems. Elevators should be inspected annually by certified professionals. In New York City, the Department of Buildings’ Elevator Division oversees all elevator replacement projects. The division reviews proposals, issues permits, and conducts safety tests and inspections. Total elevator replacement may be required if parts are no longer available, if the equipment has far exceeded its life expectancy, or if the repairs required to make the elevator comply with codes make it more cost-effective to replace the elevator. The way in which old equipment is shut down, dismantled, and removed varies depending on the size and scope of the building and its elevator. In most cases, the hoistway is secured to prevent any unintended movement. Then the controller, driving machine, and door equipment are dismantled and removed. In some cases, it is necessary to remove machine room walls or ceilings to gain access to the old equipment. Many buildings have a “scuttle hole” in the equipment room so workers can remove old equipment through a lower floor and hoist in new equipment. Cranes may also be positioned on building roofs to help with construction. When a new elevator is installed, it is followed by the controller. It is wired to put the elevator in a temporary run position so workers can manually move it in the hoistway. Then the elevator is fully wired to the new controller for automatic use. 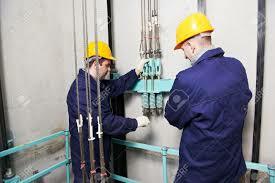 The elevator must be tested by the inspector and any relevant agencies under a full load condition. After the elevator receives a certificate of occupancy, it is ready for passenger use. The cost to modernize or replace an elevator can vary widely. It depends on many factors, including the size of the building, its location, the equipment, and the cab finishes chosen. If elevator maintenance is needed, building administrators and board members are required to inform residents in advance and to keep them updated as the project progresses. Some building managers choose an accelerated scheduled to minimize disruptions.